Today marks the day when the sun god begins its triumph (albeit temporary) over the dark. Since the summer solstice, in the northern hemisphere, darkness has progressively defeated the light. The amount of sunlight has decreased about 2 minutes each and every day until today. We will gain back 2 minutes of light until the summer solstice 6 months away. With the light comes renewed life. The Egyptian sun god Amun Ra has defeated Set and will begin to breathe energy into nature once again. The spirit behind the idea is literally what happens. I can’t blame people for worshiping our sun as a god. It’s energy comes to us in the form of photons and is absorbed by plant material which in turn will feed the planet. 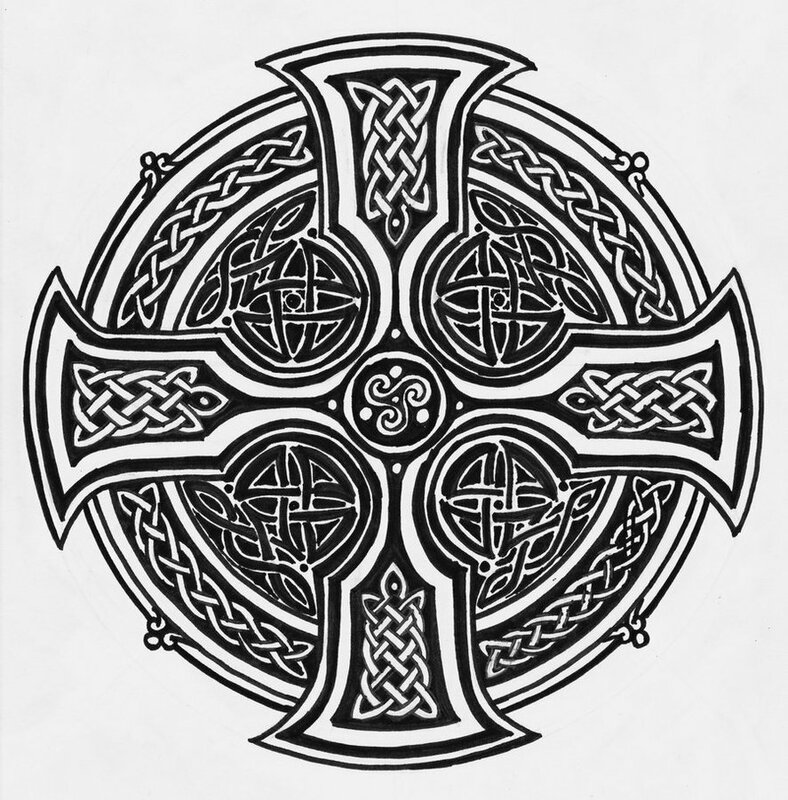 The celtic cross is a symbol of the movement of the sun relative to the earth or actually vice versa and the 4 seasons that this movement represents. Many of the modern traditions for religious holidays are adaptations from earlier myths. For example evergreen pine trees held a special place in the hearts of celtic people. Plants were considered sacred by most archaic people and rightfully so. Much of the tree of life depends on it to be the middle man between it and the star at the center of our solar system. Early pagans would move a tree into their homes to symbolize the rebirth of nature soon to come. The lighting of the tree was symbolic of the lengthened days soon to come. I’ve discarded the rebranded holiday and this year my family has decided to celebrate the winter solstice. I don’t know much about it but I’m learning more each day and passing it on to my children who love it just the same. What are your non traditional winter solstice celebrations? I’m celebrating the winter solstice for the first time this year. My children and I made decorations earlier today, we will decorate the house a bit later on, and tonight when my husband gets home we will eat a yummy meal together. I’m looking forward to it.